• You can apply if you owe more than the house is worth. You end up with lower payments and even if you owe more than the house is worth, you still qualify for the program. This is also directly opposite of the old guidelines where you could not obtain loans if your home’s value had gone down. In the current market, most property and home values have decreased which puts more people in jeopardy of foreclosure. With the new program, home value is not an issue and you can still qualify for a loan. • Judges in bankruptcy court have the authority to lower your principle and/or interest payments. This is one the financial institutions balked about but in the end, it was determined that if a person going through bankruptcy had no other recourse, the judge could lower the principle, the interest or both due on the home. This will save a lot of people from losing their homes. 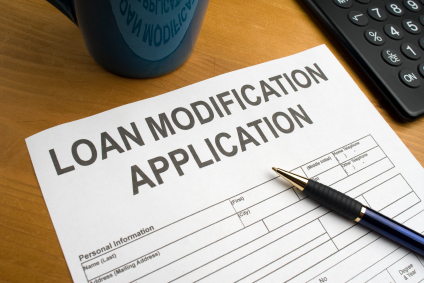 • Financial institutions are given incentives for each modification made to your original loan. What that means is that the more they do to make the payments more affordable for you, the more they gain. There are also incentives for the borrower. $1000 can be received each year that the payments are kept current, up to three years. When it comes to a home loan modification, what is old is new again. The entire system was set in place to help the millions of homeowners who are facing or could face losing their homes over the next several years. Only time will tell if it will work and there are those on both sides of the issue but at least now there is an alternative to hard working people losing their homes due to financial stress. This gives millions of people new hope and that in itself is a good thing.